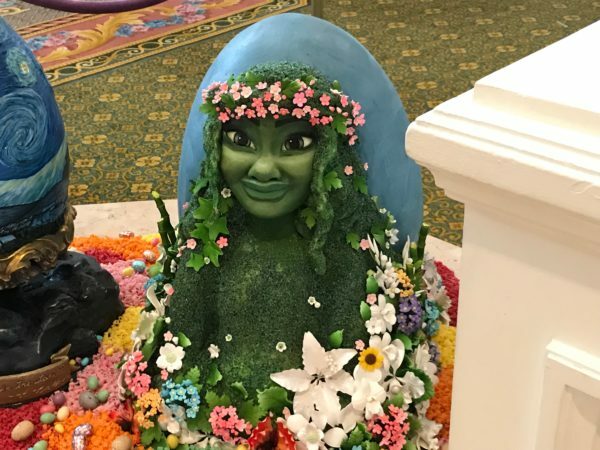 During special holidays, many of Disney’s Deluxe Resort Hotels transform their lobbies into festive areas. 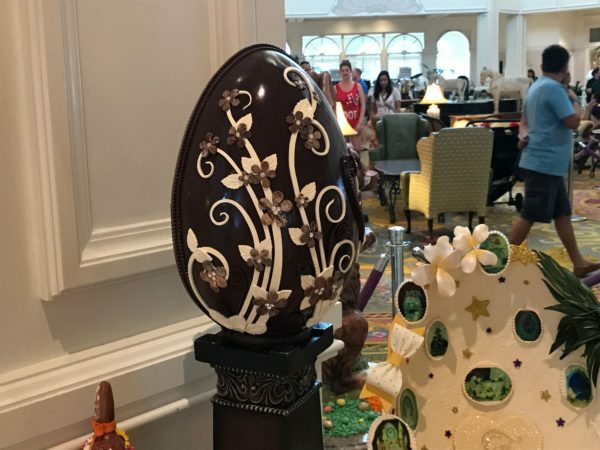 During the Easter season, the displays are egg-shaped, and Disney World’s flagship hotel, Disney’s Grand Floridian Resort and Spa has the largest display. 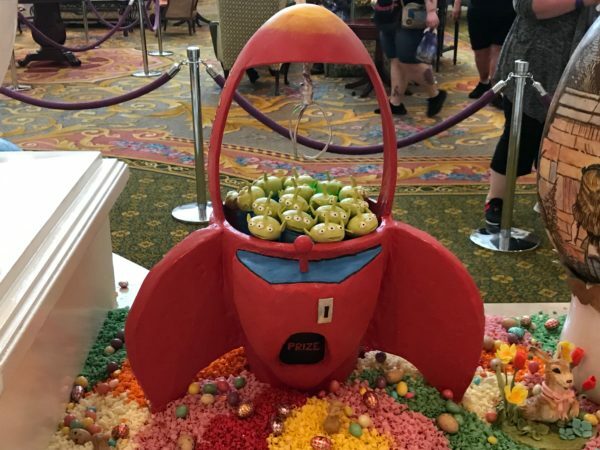 Welcome to the 2019 Easter Egg display! 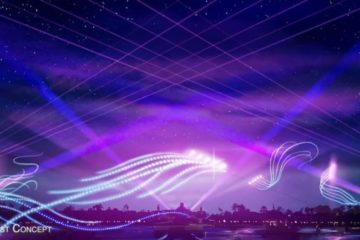 Here are some interesting facts about the display! 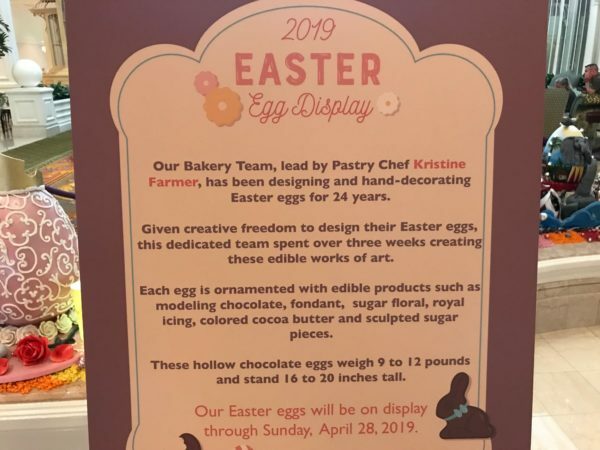 The welcome sign says that Disney’s Pastry Chef, Kristine Farmer, has been designing and hand-decorated Easter eggs for 24 years. 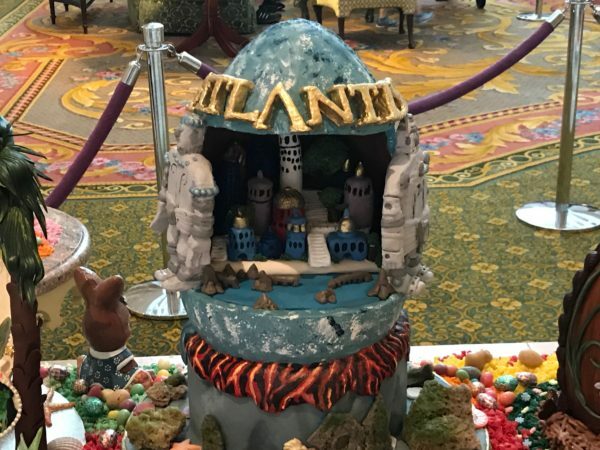 Her team spends three weeks creating new edible works of art weighing between nine and 12 pounds and measuring 16 to 20 inches tall. 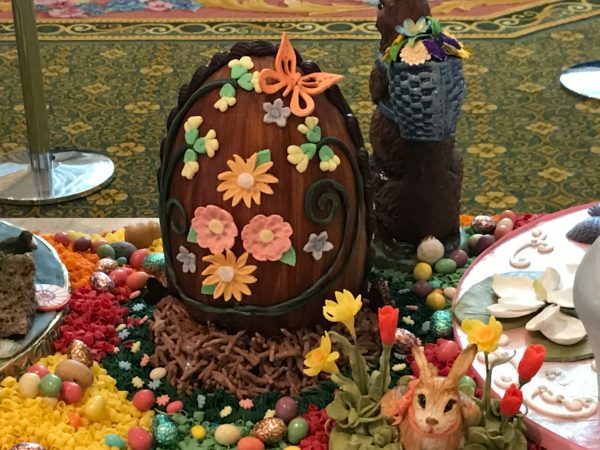 The hollow eggs are made of modeling chocolate, fondant, sugar floral, royal icing, colored cocoa butter, and sculpted sugar pieces. 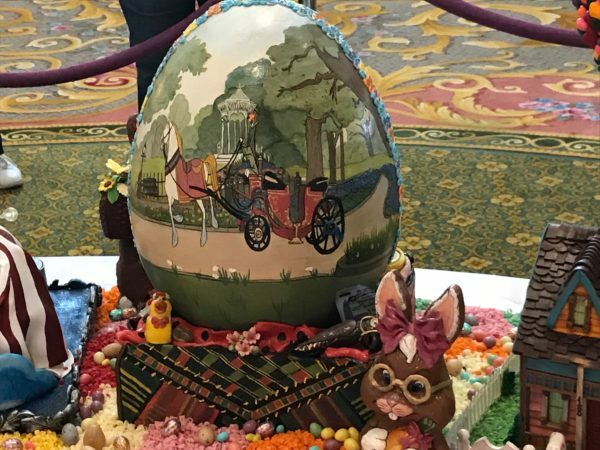 There are currently 40 eggs on display until April 28th. 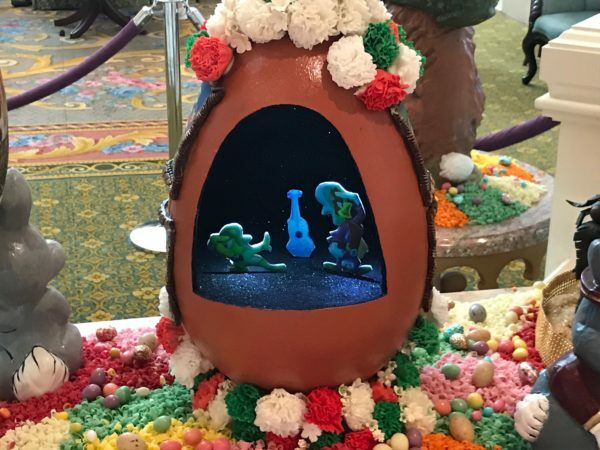 Let’s take a look at this year’s Easter Egg display! 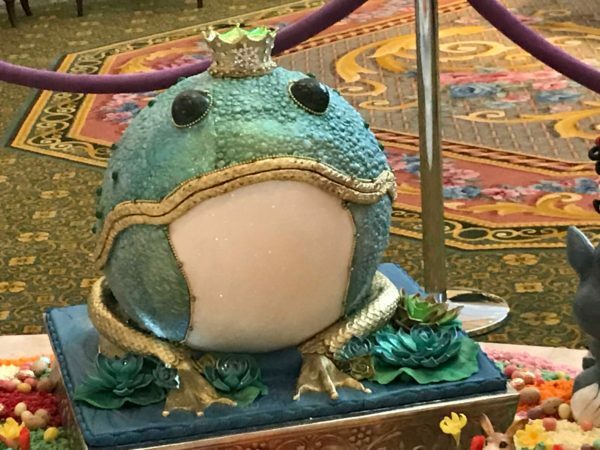 The design is intricate and beautiful! 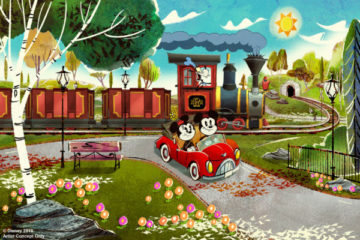 The designs are fun and whimsical. 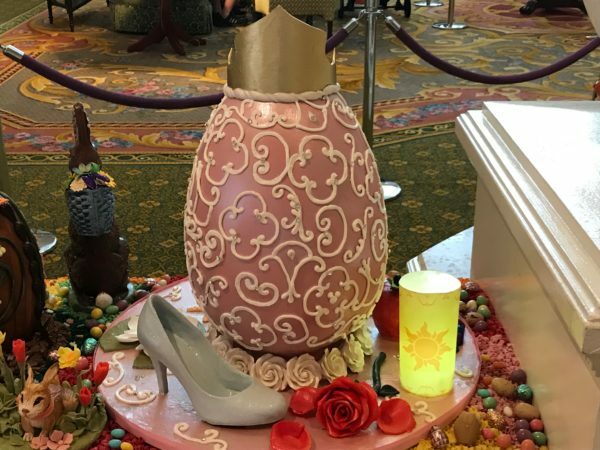 The Disney Princess egg honors several Disney Princesses including Cinderella, Rapunzel, and Sleeping Beauty. 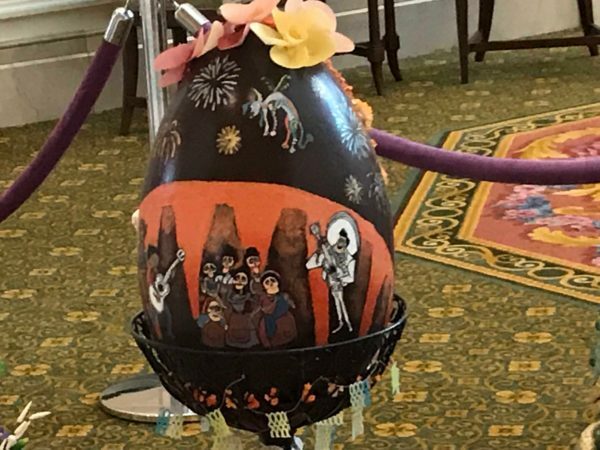 I lava you egg depicting Te-Fiti. 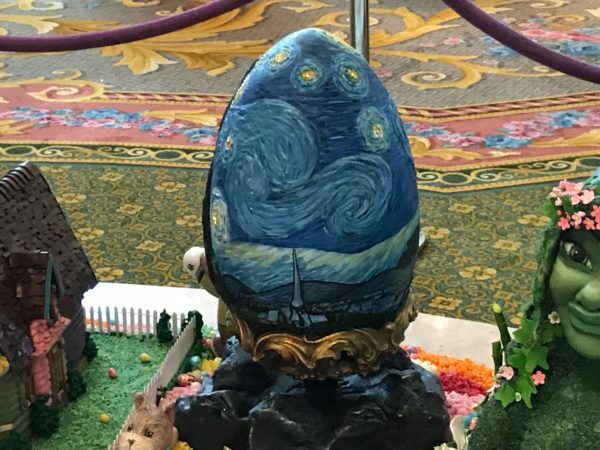 Check out the artwork on this egg! 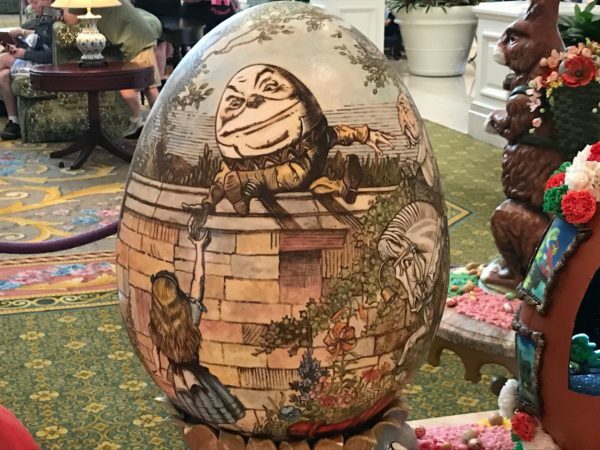 Humpty Dumpty- an egg on an egg! 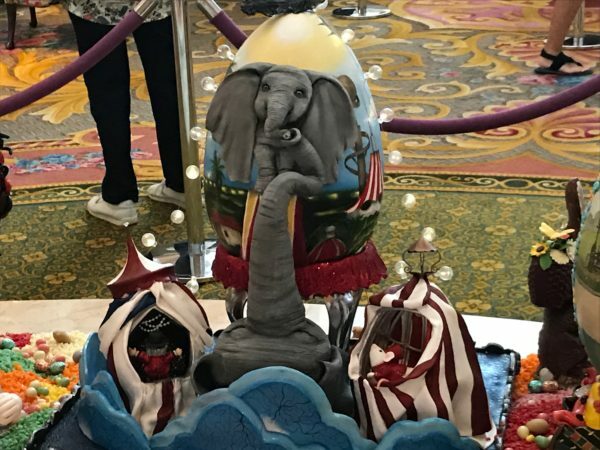 The Claw Machine egg. 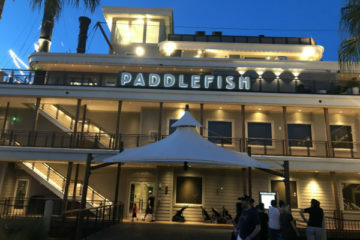 Ooohhhhh! 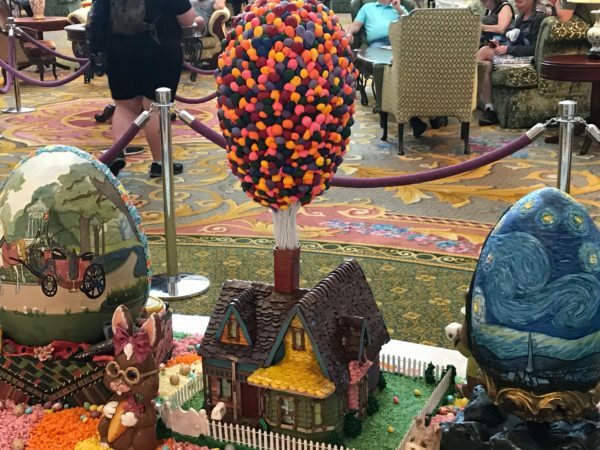 Carl’s house from Up- with an egg of balloons! 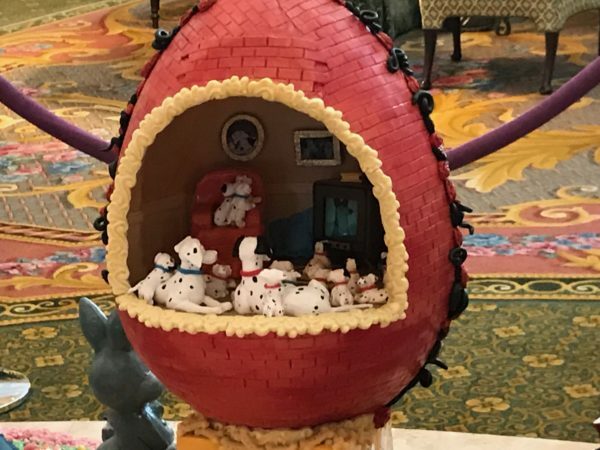 Pongo and Purdita and their 99 puppies are lounging in the living room of this egg! 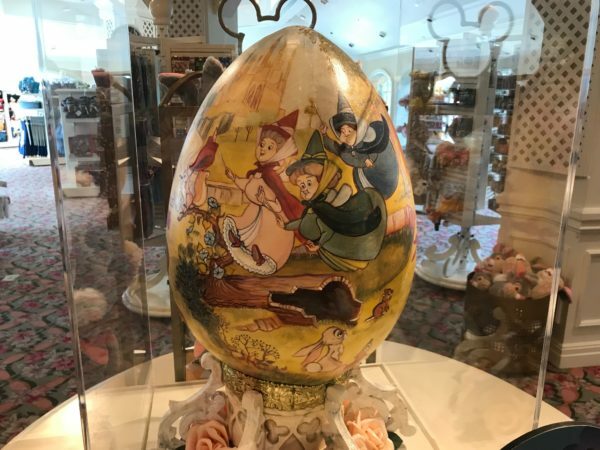 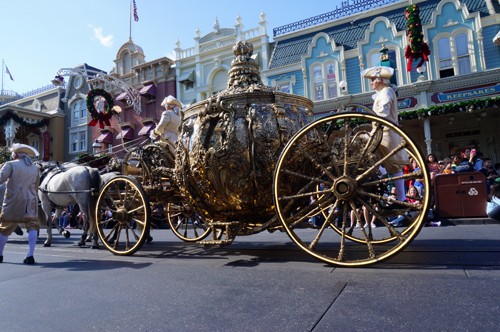 The Fairy Godmothers of Sleeping Beauty are flying around on this egg. 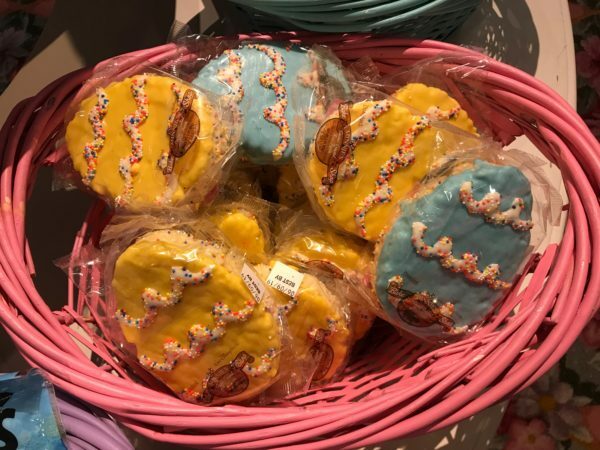 Besides the eggs, there are also themed snacks available for purchase! 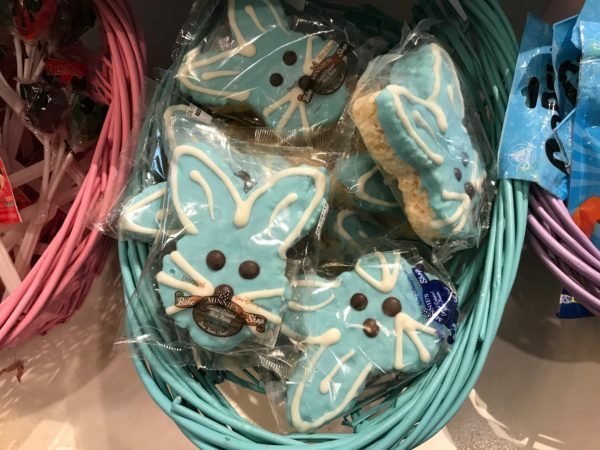 Disney is selling themed snacks in nearby Grand Floridian stores. 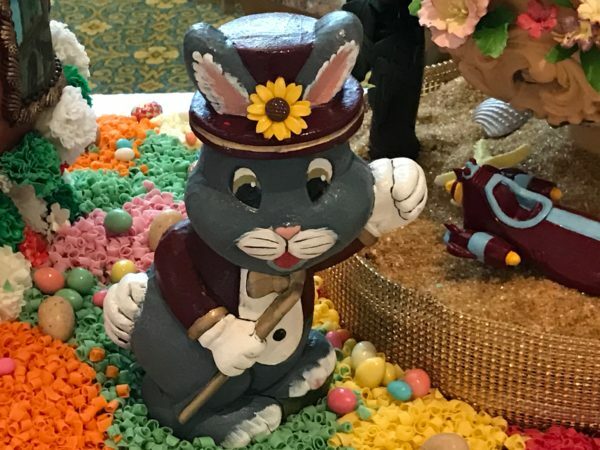 Easter Bunny rice crispie snacks anyone? 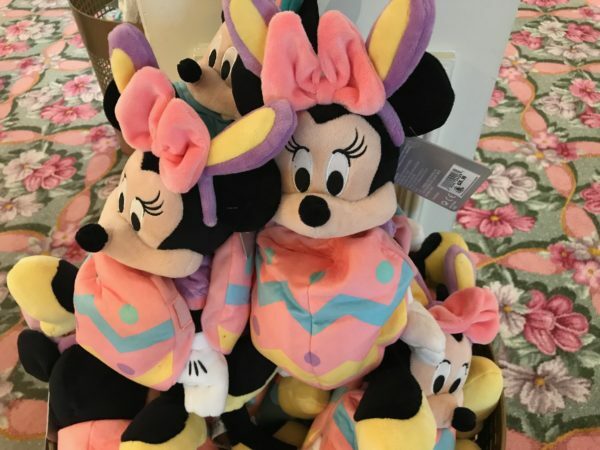 You can even grab a Minnie plus dressed up as an Easter egg with bunny ears! 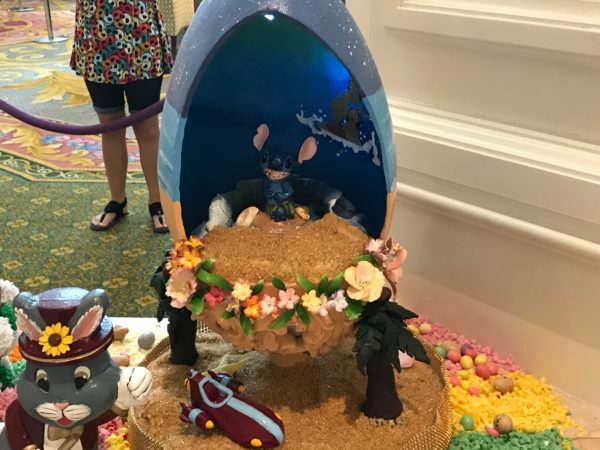 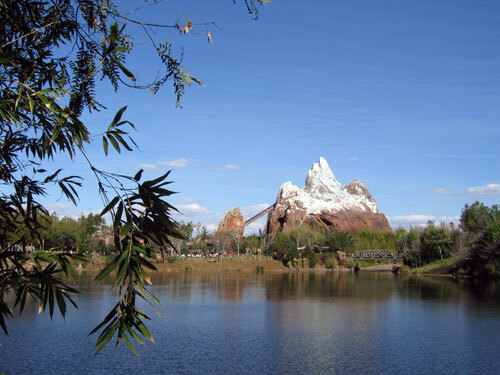 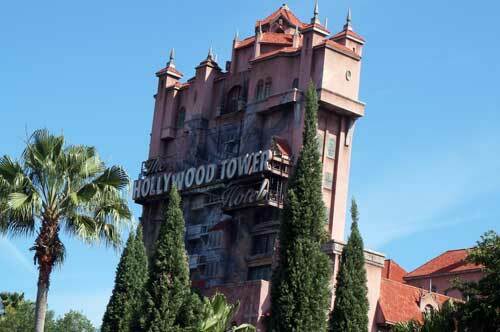 Do you enjoy Disney’s Easter Egg displays?